Score $10 to shop at Lane Bryant free! You are here: Home / Freebies / Beauty / Score $10 to shop at Lane Bryant free! 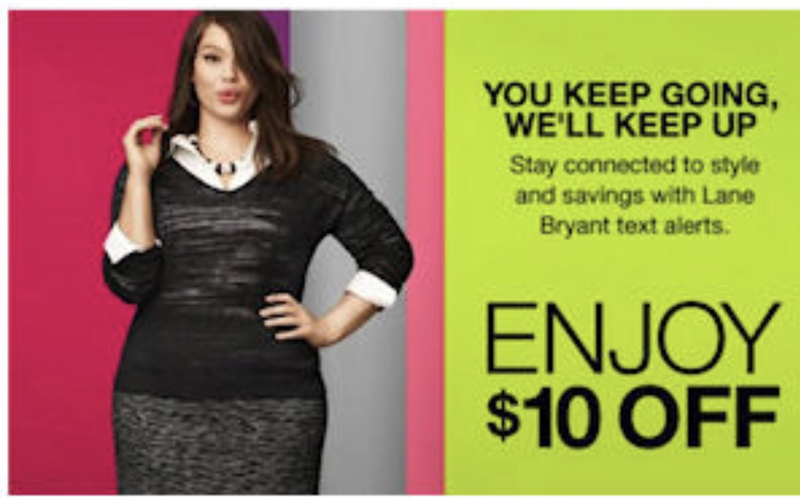 Text MOBILE to 552255 to get a code good for $10 off ANY Lane Bryant in store purchase! No minimum purchase required! Use this free $10 off deal in combination with the clearance rack and you may be able to score something free or really cheap!